The curriculum in use is from the Greek Orthodox Archdiocese Department of Religious Education and is supplemented with other materials and activities obtained from other Orthodox Christian sources. All outside materials are reviewed and approved by Father Peter. Joy is the main theme of the Nursery program. God’s love is the source of our joy. The Nursery student experiences joy through family activities, and through Church worship and life. Aspects of worship and stories from Scripture highlight specific examples of and reasons for joy in living a life centered on Christ. The Nursery Student learns to celebrate God’s gift of joy and thus feels a sense of trust and well-being. The Kindergarten class seeks to introduce the students to basic Church teachings, events in the liturgical calendar, Bible stories and hymns. The Kindergartner is provided with an opportunity to learn more about what they witness and experience in Church every Sunday. The focus of the First Grade is on creation as God’s gift. God has made the world and everything in it as an example of His love and goodness. As the child discovers the world around him, the child understands that family, friends, church, school and all things come from God. Through the daily experience of God’s world, the child understands that God is real, loving and caring. The child’s faith in God is awakened and is expressed through prayer, worship and thanksgiving. God made every person to be a special and unique individual. Jesus is the Son of God. Learning is a gift from God; one thing we learn is how to make the sign of the cross. The Bible helps to guide our lives. God cares about our feelings, and He wants us to help and share with others. We should be thankful to God for the talents He gives us. Our priests teach us about God. Orthodox Christians light candles in church, venerate icons, and make the sign of the cross in a special way. We receive Holy Communion, the Body and Blood of Jesus Christ. This brings us close to Him and to each other. When we are baptized, we are born into God’s family. Jesus was baptized by John the Baptist. At our baptism, we receive our name. Many of us are named after saints - holy people who fully lived God’s way. At our baptism, we also receive the Holy Spirit. The Holy Spirit is a gift from God working within us, to guide us toward doing the right thing in life. Jesus teaches us to love all people and to forgive others. Jesus Himself was once a child, and He loves children very much. Jesus Himself prayed alone and with others. He teaches us the Lord’s Prayer. When we pray, we talk to and listen to God. We can pray in the morning, at meals, at night, or any time. We are all part of a special group of people called a family. Families are different - some are large, some are small, some don’t have a mother or a father. Families love each other and share with each other. An Orthodox Christian family does special things. When a baby is forty days old, his or her parents bring him or her to church to be blessed. All Orthodox Christian families make up the church family. The church family celebrates special days like baptism and marriage. The church is a special place where we come together to pray. When we light candles in the church, we remember that Jesus Christ is the light of the world. We kiss icons in the church to remember the saints on them. In our church, the priest stands at the altar during our services. Long ago, Jesus was arrested and put to death in the city of Jerusalem, and then He rose from the dead. The church started with Jesus’ twelve Apostles. After His resurrection, they traveled all over the world to teach people about Christ. During church, we pray by singing “Lord have mercy.” In the Divine Liturgy, receiving Communion joins us with Jesus. The first Liturgy was the Mystical Supper. In our Liturgy, the priest repeats the words of Jesus. We should offer our time, talents, and treasures to the church in any way that we can. Jesus came to earth for all people in the world. We should love and respect all people no matter who they are or how different they are from us. Jesus taught that we should even love and pray for those who do harm to us. Some Christians are not Orthodox—they are Catholic or Protestant. Our leaders sometimes meet with their leaders to discuss our differences and similarities. Not all people are Christian. We should respect all people and their religions. Second Grade concentrates on the theme of loving God as the child’s obedient response to God. Through the examples of men and women of the Old and New Testaments, as well as the examples of the Orthodox Saints, the second grader begins to understand sin and forgiveness in the light of God’s love. Through such examples, and through acts of worship and life, the child learns to respond to God with love and obedience – the foundations of morality. All people need love in order to live. God loves us and gives us gifts in our life, such as our talents. He wants us to take care of all these gifts from Him. God gave us His son, Jesus, to save us from sin. In Jerusalem, Jesus taught people, healed people, and was baptized in the Jordan River. He died on the cross and rose from the dead. Jesus taught that the most important rule is to love God with your whole self. Jesus wants us to love others. People will know you are a Christian when you treat others with love. God wants parents to love their children, and children should obey their loving parents. There are many ways to show love for your parents. The Church has seven sacraments, which help us to be close to God. Marriage is the sacrament of love. Icons show Jesus and the saints. They may tell stories about the Church. They remind us of God and the saints. When we burn incense, the smoke rises like our prayers rise to God The Jesus Prayer is, “Lord Jesus Christ, Son of God, have mercy on me a sinner.” We should forgive each other and ask for forgiveness from others. Our church is a family and we show each other love in many ways. At Divine Liturgy, we receive the sacrament of Holy Communion, a sacrament of love. To prepare, we pray, forgive each other, and fast from certain foods. Our church has many symbols, such as the Cross, the altar table, the chalice, the baptismal font, icons, and the incense censer. When we hurt ourselves or others, we sin. We should ask God for forgiveness of our sins in the sacrament of Confession. When we decide to confess our sins to God, we sit with a priest and he helps us and blesses us. Even when it is not easy to be loving, the Holy Spirit helps us to love. To serve means to do something good for someone, out of our love for them and for God. When we care for others, we are caring for Jesus. We should remember this whenever we see a person in need. God made people the same in many ways, and different in many ways. We should love and serve people, even if we don’t know them. People in the church can join together to help others who are in need. Respecting other people is a way of telling them that they are important. All people deserve respect. We should respect leaders such as our teachers, coaches, priests, and our president. Our church’s leaders are bishops and priests. A bishop takes care of priests and the people in parishes. Our priests celebrate sacraments, teach us, and visit people in the hospital. Deacons are helpers to the priests and bishops. We also respect the saints, who were people who lived God’s way. We remember the day the saint died. This is a feast day, because on that day the saint went to heaven. The night before a saint’s feast day, we have Great Vespers to honor the saint and ask for him or her to pray for us. The next morning, we celebrate Divine Liturgy. We celebrate a person’s name day on the feast day of a saint. We must treat our world with respect so that all people can enjoy it. In the Third Grade the emphasis shifts to the theme of sharing based on the life of the Church. As the Third Grader becomes open to the outside world and peer group relationships, he or she learns about God’s people and their relationships in the Old and New Testaments, as well as in the history of the Church. Through study of the life of the Church, the child experiences sharing, giving, dialogue, and dealing with relational difficulties in a positive manner. Hospitality means sharing our food and gifts with others.We also share our feelings, thoughts, and talents with others. We can share with God by going to church, singing the hymns, and giving to the poor; we should do this out of love. God made a covenant (promise) to Abraham, who became the father of the Hebrew people. Many years later Jesus was born among the Hebrew people, so all of His followers can share in Abraham’s blessings. All Christians share God’s gift of the Law to Moses, the Ten Commandments. Jesus taught that the greatest commandments are to love God with all our hearts, and to love our neighbor as ourselves. We follow rules so we can live with each other peacefully. We should give thanks to God and to others for the things they do for us and give to us. When Christians “share the good news,” they tell others about how Jesus Christ is the Savior of the world. Jesus wants us to be His helpers by helping others. This makes us His disciples, people who bring the good news to others The service of the Blessing of the Five Loaves is based on the story of Jesus multiplying the five loaves of bread and four fish with the multitudes. This service reminds us that we should share our food with those who are hungry and have no food. Jesus made a sacrifice for us, and He teaches that sometimes doing the right thing is not easy, and we may have to make sacrifices, too. We received the Holy Spirit at our baptism. The Holy Spirit fills our heart with love and increases our kindness and closeness to each other. The Holy Spirit helps us to be brave when we’re scared, to make good choices, and to say and do the right things, even when others around us do not. People in families should treat each other with love and share with each other. Family mealtime can be a special time for families to share with each other. Families can pray together before meals, at bedtime, before traveling, or any time. They can pray in their own words or use a prayer book. Families make and share special memories together. When families remember a special person who has died, the Church has a Memorial Service to pray for the person. His or her memory lives on forever. In the Divine Liturgy, we share special news about God.During the first part of the Liturgy, we learn through the Epistle and Gospel readings. These Gospels share stories about Jesus’ life The Epistles are letters from the Apostles that help teach us how to live Christian lives. During the second part of the Divine Liturgy, we offer the gifts of bread and wine to God. The Holy Spirit changes the gifts to the Body and Blood of Christ, to be Holy Communion. Before receiving, we say the Lord’s Prayer. After we receive, we joyfully sing, “We have seen the true light!” God gave us the gifts of bread and wine; we give them back to God, and He changes them into something life-giving for us. When we receive Holy Communion, we are joined to God and to each other as one Church family. The sacrament of Holy Unction is a special service of healing and forgiveness through God’s power. The priest anoints our faces and hands with blessed oil. The oil has special healing power, the same way that special lotion can help us heal after a bad sunburn. Being blessed with Holy Oil brings the Holy Spirit into our lives to help us live a healthy and good life. Water is another wonderful gift from God. We need water to live, to grow, and to clean. Our Church has a special service called the Blessing of the Water. When God blesses the water, it becomes a holy gift for us. Being sprinkled with or drinking holy water reminds us to keep our lives clean and away from sin, and to live God’s way. A missionary is a person who shares the Christian message with others. We can be missionaries anywhere by sharing our faith with others. God shared His love with us by sending His Son; we can share our love with others, too We should share the things we have with others who don’t have as much. Justice means being fair to others and doing what is right. We can work for justice by standing up for people who are excluded and helping them to be treated fairly. Fifty days after Easter, Christ sent the Holy Spirit to His disciples; this is the Fesat of Pentecost. They were then able to share the good news with everyone in the world. The theme of the Fourth Grade examines a period of deeper moral and spiritual growth in the life of the child. By concentrating on the prayers and Sacramental acts related to human growth (Pre-baptismal Services, Baptism, Chrismation, Liturgy and Confession), the children begin to gain a Sacramental vision of life. They come to understand the world, and their own spiritual growth in the light of their faith, prayer and Sacramental life. When we see the beauty of the world God has made, we praise, thank, and worship Him. We worship the one God who is Father, Son, and Holy Spirit, three persons: The Father is the Creator of everything we can see and cannot see. The Son is Jesus, who taught us how to live God’s way, died, and rose to save us. The Holy Spirit is the power of God, which came upon the Virgin Mary, filled the disciples, and helps us to love God and one another. The most important way we worship God is through the Divine Liturgy, which means “holy work of the people.” Our work is to praise and worship God. Part of this work is listening to the Epistle and Gospel readings, which teach us about Christ and guide us in living a Christian life. We offer the gifts of bread and wine to God in the Liturgy. God blesses, or consecrates them, making them the Body and Blood of Christ. When we come to Liturgy, we can bring many gifts: prosforo, wine, lighting a candle, contributing money to the church, and incense or olive oil to be used in the worship. When we receive Holy Communion, we are joined to Christ and to each other. Christ forgives us and helps us to forgive others. Over many centuries, God inspired people to write books of God’s message, and they were put together as Holy Scripture, or the Holy Bible. Jesus read the Bible and taught people to follow its message. After He died and rose, His disciples wrote about Him, and these writings were added to the Bible. The Old Testament tells the history of the Hebrew people and has the Ten Commandments. The New Testament tells about Christ, the Apostles, and the first Christians. When we read the Old Testament, we believe that the promises of the prophets refer to Christ, and that the Passover lamb is a symbol of Christ. The New Testament is made up of several types of books: the four Gospels, which tell about the life of Christ; the Acts of the Apostles, which tell about the first Christians; the Epistles, which were letters written from Apostles to other Christians; and the book of Revelation, which tells about the coming of God’s kingdom. When we obey what we read in the Bible, we grow as Christians. A family begins when God unites a man and a woman in marriage. During the wedding service, the bride and groom wear rings that symbolize their commitment to each other. They wear crowns on their heads to symbolize God’s blessing upon them. God teaches that when two people get married, they are now like one person, and they must work together for their family to live God’s way, through both the easy and the hard times. Some marriages end in divorce. Sometimes one spouse dies. A person may marry again, and sometimes that forms a blended family. Some people never get married, but they are still part of a family. Children are a gift from God. They have qualities from their parents, and from God. God’s image is in every person. Some families adopt children. We become Christians through Holy Baptism and Chrismation. Parents ask close friends or relatives to be godparents to their child, to help raise him or her as a Christian. Blessed water and oil are important symbols in the sacrament. The new Christian is anointed with chrism, or special oil. These two sacraments mean the child has joined the Orthodox Church. We all sin. God forgives us through our repentance: we admit our wrong, ask God for forgiveness, and sincerely try not to do the same thing again. When we sin against each other as family or friends, we should ask them for forgiveness. No matter how old we are, we should honor our parents. Many people, like priests, teachers, doctors, and neighbors, help us to grow. God has given each of us different talents that we can use in our own ways to serve Him and each other. The Orthodox Church has many people who lead and serve: The bishop leads a diocese (metropolis), or a group of parishes in the same area. The priest is the leader of a parish. The parish council is a group of people who help make decisions to serve the people of the parish. The Philoptochos Society means “friends of the poor.” They raise money to help poor people and support the Church’s work. The saints of our Church have taught us, by their example, that having faith in Christ can bring great courage, generosity to the poor, and Christian unity. Missionaries in our Church travel to other lands and spread the Christian message. Different Orthodox churches may have different customs, but the faith is the same. At our Chrismation, we receive the Holy Spirit, which gives each of us different talents to serve the Church in our own ways. Before the Virgin Mary was born, her parents Joachim and Anna prayed for many years to have a child, and God blessed them. The Church celebrates Mary’s birth on September 8, the Nativity of the Theotokos. On August 15, the Church celebrates the Dormition of the Theotokos, when Mary fell asleep, died, and joined her Son, Jesus. From August 1 to 15, we prepare for this day with prayer and fasting. On June 29, our Church celebrates the Feast of Saints Peter and Paul. Peter was the leader of the twelve disciples, and was martyred in Rome. Paul was once a persecutor of Christians, but after he converted, he preached the Christian message in many lands and wrote letters to the Christians there to encourage them. Jesus chose twelve men to be His disciples. After Pentecost, they all traveled around the world. We remember all of them on June 30; we prepare for this feast day with prayer and fasting. On August 6, the Church celebrates the Transfiguration of Christ, when His divine light shone to show His glory, and that He is God as well as man. The Fifth Grade concentrates on the stories of the heroes of the faith in Scripture and Tradition as examples of faith, loyalty, self-sacrifice, obedience, love, justice and social responsibility. Through the study of these great figures the student learns to respond to God in terms of personal faith and the basics of Christian morality, the Ten Commandments and the teachings of Christ. When we put our trust in God even when we are afraid, we have faith. The Bible has many stories about people with strong faith in God. We all struggle with our faith, to know what God wants for our lives. Faith helps us to improve at the things we do and to try without fear. Faith gives us courage to use our strengths and to help other people. God has always been faithful to His people. He gave us the gift of the Ten Commandments to show His love and care for how we live our lives. Since we are all created in the image and likeness of God, we should be pure and holy. We can do things to remind ourselves of God’s presence and holiness, such as lighting candles, venerating icons, and censing our homes. To help us make choices, we should ask ourselves what God would want us to do. Ethics are rules that help us know the difference between right and wrong. People who are righteous do what is right, and they obey what God tells them. God calls us to speak the truth and live honestly. God’s prophets spoke the truth, even if it was hard for others to hear. Even if many other things in our lives change, God will always love us. When we sin, we break our relationship with God. We can restore this in the sacrament of Confession, by asking for forgiveness and repenting from our sins. The books of Psalms and Proverbs teach us holiness. Mary is called “Theotokos,” which means “the one who gave birth to God.” She was an example of obedience and love; we ask her to pray for us, knowing that Jesus will listen to her in a special way. We celebrate the Feast of the Annunciation on March 25. John the Baptist was Jesus’ cousin and a prophet who announced that people must repent and prepare for Jesus’ coming. The last three years of Jesus’ life are His ministry, or service to others. He was about thirty years old. We believe that Jesus is both divine and human. He lived like us and He lived God’s way, bringing the Kingdom of God. The Good News is that with the Kingdom of God, we are all free from our sins. Jesus taught people to treat others with love, forgive, share with the poor, not to judge, and to trust in God. During His ministry, Jesus healed people and showed many other miracles. Jesus chose twelve disciples to help him preach and heal. Some of the leaders became angry at Jesus and planned to kill Him. He knew that He must die and rise on the third day to save us from the powers of sin and death. Both the Old and New Testaments teach us how God gives salvation. Those who believe that Jesus is the Son of God will be saved through Him. God will judge each of us, by how much we loved and cared for others. St. Peter called the Christians to be “living stones” to build the Church. We can work together to keep our Church strong. St. Paul taught that the Church is the Body of Christ, and each person is an important part. Jesus has given each of us special “Gifts of Service” to do Christ’s work. Everyone in the Church has special talents. Monastics are God’s spiritual athletes because they dedicate all of their time and energy to Christ through a simple life of prayer. The fathers of the early Church, such as St. Athanasios, St. Basil, and St. Gregory the Theologian, taught about the faith. You can be a witness to Christ by standing up for your beliefs and living according to your Orthodox faith. Working for justice means helping those who are in need or who are treated unfairly. We are called to sacrifice for others, to give unselfishly. We are called to encourage others who are struggling. Every year, the Lenten journey prepares us for Christ’s Resurrection, through fasting and prayer. The four Sundays before Great Lent help to prepare us: Sunday of the Publican and the Pharisee; Sunday of the Prodigal Son; Meat-Fare Sunday (Sunday of the Last Judgment); Cheese-Fare Sunday (Sunday of Forgiveness). Each Sunday during the forty days of Lent, we remember the holy cross and many holy people whose lives teach us the way of prayer and repentance. Jesus teaches us to bear our cross, or our hardships, with faith in God, and that freedom means doing what God wants. Lent is also a time to think about how we can better live up to God’s way. During Lent, we celebrate Presanctified Liturgies and the Akathist Hymn, which praises the Theotokos. The Prayer of St. Ephraim is a humble prayer that helps us to be more loving in our relationships with others and with God. Setting aside a daily time and place for prayer is important for spiritual growth. During Holy Week, we remember the last earthly days of Christ. Our services remind us that Christ loves us, suffered for us, died, and rose from the dead for us. The Sixth Grade reviews the pathway to happy Christian living through Scripture, Tradition, Doctrine, Church History and Liturgical Life. Students learn about the Church Fathers, the Divine Liturgy and other Services, and the First Christian Writers. Heaven On Earth: The Divine Liturgy: “We knew not whether we were in heaven or on earth... We knew only that God dwells there among men.” As St. Vladimir’s emissaries found, heaven and earth meet in the Church through the Divine Liturgy. This booklet begins with a brief history of worship in the Orthodox Church and then details each section of the Divine Liturgy. The students will also gain a better understanding of Church architecture and explore the Creed's scriptural foundations. A Lamp To My Feet: An Introduction to the Bible: In this booklet, students will develop the attitudes and confidence needed to light their path with the lamp of Scripture. Students will learn to access God’s message to the world by asking how each lesson relates to them: “What does this text say about Christ, and how does it apply to my life?” This section begins by exploring general motivations for and goals of Bible study. It then suggests study habits and methods, and explains various formats and translations of the Bible. Students will be introduced to the Old and New Testaments, the kinds of books they contain, and how the books came to be there. First Among Equals: The Ecumenical Patriarchate: In this booklet, students will explore the history of the Ecumenical Patriarchate and the current work of His All Holiness Ecumenical Patriarch Bartholomew. They will learn about other topics as well, including Church leadership, global Orthodoxy, Christian unity, religious freedom and caring for God’s creation. Distinguish among worship, veneration, and idolatry. Develop a working definition of worship. Describe the aspects of worship. Understand that the Church constantly recognizes the two realities that are joined in the world—earthly (temporal) and heavenly (eternal). Apply this understanding to church architecture. See how the divine reality is accessible to us and can indeed help us in life’s struggles. Examine the petitions to discover the Church’s approach to earthly needs. Describe liturgical prayer and private prayer. Explain that the Bible and the Divine Liturgy are products of the Church. Demonstrate that the roots of liturgical practices and items are found in the Old Testament. Connect the statements of the Creed to scripture. Integrate daily Bible study and weekly worship by following a lectionary. Recognize the difficulty of repentance and forgiveness in daily life. Understand that forgiveness is central in the lives of Orthodox Christians. Explain the abundance and depth of forgiveness that is in the liturgy, and especially the type of forgiveness before communion. Connect the Sunday Divine Liturgy to weekly life—heaven and earth. Understand that becoming God-centered is a lifelong process. Look for ways to do God’s work through daily life. Identify motivations for Bible study. Develop the discipline to actively incorporate Scripture into daily life. Anticipate the rewards of the discipline. Embrace attitudes that promote a habit of Bible study. Survey study techniques and methods. Establish a Bible study plan for the coming week. Compare Bible translations. Practice using the tools of a study Bible, including study notes, cross-references, and a concordance. Discern two types of meaning in the Old Testament, literal and revelatory. Familiarize themselves with the types of books the Old Testament contains: Law (the Pentateuch), History, Wisdom, and Prophecy. Describe the types of books in the New Testament. Understand that the Gospels give four authors’ perspectives of the same events. Explore the role of faith in believing and accepting the truth of the Biblical texts. Describe the development of the canons of the Old and New Testaments. Evaluate the roles of human beings in recording, interpreting, and receiving Scripture. Identify uses of Scripture in the services of the Church. Describe the work of the Apostles. State the Great Commission. Explain the position and role of a bishop. Describe the relationship between clergy and laity. Define Apostolic succession. Identify characteristics of leaders. Understand that we serve Christ by following His example. Locate the Ecumenical Patriarchate in the wider Orthodox world. Connect Greek Orthodox Christians in the United States to the Ecumenical Patriarchate. Explain the scope of the Ecumenical Patriarch’s authority. Describe some challenges of leadership. Consider the challenges of obedience. List skills and virtues of five Patriarchs who taught the true Faith during controversy: St. Gregory the Theologian, St. John Chrysostom, St. Tarasios, St. Methodios, and St. Photios the Great. Explain that a council is a gathering of bishops that, guided by the Holy Spirit, works to standardize the teachings of the Church. Identify traits and virtues that help a person seek and stand up for Truth. Recall that a council is a gathering of bishops that, guided by the Holy Spirit, works to standardize the teachings of the Church. Summarize the issues and results of each Ecumenical Council. Propose some questions of faith and order that may be addressed by future synods. Consider how they might respond if a new council (or an existing one) clashes with their understanding and beliefs. Distinguish among Christian Churches that are not in communion with the Orthodox Church, reasons for separation, and the efforts toward reunification. Describe the Sacrament of Chrismation. Briefly summarize the current status of Orthodox Christian unity in this country. Compare and contrast several main practices and beliefs of other religious groups. Deconstruct how other Churches and faiths do not share the truth that we proclaim in the Nicene Creed. List universal concerns that Orthodox Christians can address in conjunction with people of other churches and faiths: care for the environment, working for peace and justice, and developing understanding and mutual respect between sexes and among races, nations, and religions. Identify the Byzantine Empire as one of the great civilizations in history. Consider how the Byzantine Empire offers a model for how the Gospel has been applied to an entire society. Recognize that two hallmarks of the Christian life are worship and philanthropy. Contrast the collaboration between the patriarch and the emperor with the modern concept of separation of church and state. Examine the relationship between East and West throughout history. Understand how the Great Schism, Crusades, and Fall of Constantinople were pivotal moments in history that shattered the medieval vision of a united Christendom. State the reasons for the Great Schism of 1054. Examine how the psychological effects of the Fourth Crusade on the people of Constantinople still affects relations between the East and West. Sing the Kontakion of the Annunciation of the Theotokos (O Champion Leader, Τή Υπερμάχω). Analyze the pros and cons, from both spiritual and practical perspectives, of staying in one’s ancestral land versus fleeing persecution. Examine the leadership of the patriarchs as ethnarchs. Recognize the challenges to religious freedom that the Patriarchate faces. Connect in some small way with His All-Holiness Patriarch Bartholomew. Discuss how the Ecumenical Patriarch is a witness of what it means to be crucified daily. Embrace the challenge of living an authentic Christian life. Discuss the Orthodox Christian view on the environment. Describe the work of Ecumenical Patriarch Bartholomew, the Green Patriarch. Develop a mature understanding of the role of a Christian in God’s creation. Facing Up to Peer Pressure: Just as dancing consists of various steps, turns and twists, so is life comprised of decisions, choices and responsibilities. From infancy to old age, the tempo of the dance varies. Adolescence is a time of excitement and vitality, during which we are often confronted with the challenge of peer pressure. This first booklet acknowledges that peer pressure is indeed a nagging challenge faced by our youth but that it also has its favorable side which is positive peer pressure. Knowing Christ: Knowing Christ is Love. Knowing Christ is Truth. Knowing Christ is Peace. In past ages Christ blessed the lives of those who followed Him. Today, He walks beside us in the modern cities of our changing world. In future times Christ will continue to bless those who love and obey him. In this second booklet, the teachings, miracles and parables of Christ are amply represented in the lessons and supplemental discussions concerning the Bible, Prayer and Church. Stewardship: Serving in God’s World: All too often stewardship is equated with money, which is far too limited for a Christian perspective. The five lessons in this unit expand the vision of stewardship from the environment to our role of responsibility to each other, and focuses on the broad concepts of stewardship that will contribute toward spiritual growth. Honesty: Honesty is a broad topic, but knowing the consequences of lying, cheating, and distinguishing right from wrong are essential for our youth and their spiritual welfare. The Bible and the teachings of Christ constitute a strong moral compass for such guidance and direction. Supplementary Text – Teenage Ten Commandments: In this book the students are given an overview of the Ten Commandments and their relevance for our times. Recognize positive and negative peer pressures. Recognize the difference between a clique and a group of friends. Face up to peer pressures and cliques with confidence as Christians. Commit themselves to being sources of helpful pressures to their friends. Recognize what they can do to resist negative peer pressure. Recognize what their family, other adults, and their church can do to help them resist negative peer pressure. Recognize the reasons why some teenagers join harmful pressure groups. Recognize the behaviors of teenagers in such pressure groups. Realize that the actions of such pressure groups can lead to violence and crime. Know what Christian love and understanding can do to turn harmful behaviors into positive ones. Identify and use five specific ways the Church provides help to resist peer pressure (correct teaching, holy icons, fasting, prayer, Bible reading). Know how Jesus resisted Peter’s temptation. Identify the temptations Jesus faced in the desert and some that students face daily. Recognize Satan (the Devil) as a source of temptations. Learn how to use the words of Jesus in responding to Satan’s temptations. Recognize that Christ is the greatest figure the world has ever known. Recognize that Christ’s birth marks a change in world history. Understand that in reciting the Creed, we pledge our belief in Christ and the Orthodox Faith. Understand the significance of Christ’s baptism by John the Baptist. Recognize that people disputed, and some still do, that Jesus is the Messiah. Understand that only faith in Christ’s words and actions can overcome questions about who He is. Recognize that the Gospel means “Good News,” which comes from God. Understand that the Gospel teaches what is right, true, and good in the eyes of God. Realize that the Kingdom of God is God’s presence and power everywhere. Understand that the Kingdom of God comes through Christ. Recognize the greatest rule of the Bible: “Love the Lord your God with all your heart, with all your soul, and with all your mind.” (Deuteronomy 6:5). Understand the “new commandment”: “Love your neighbor as yourself.” (Leviticus 19:18). Realize God’s Kingdom is a Kingdom of love. Memorize John 13:34–35: “I give you a new commandment—love one another. As I have loved you, so you must love one another. If you have love for one another, then everyone will know that you are my disciples. Recognize the Sermon on the Mount as the “Law of Christ”. Understand that Christ used His authority to interpret the Law of Moses in a new way. Realize that we need God’s help to practice the teachings of the Sermon on the Mount. Recognize temptation and how to overcome it. Realize that it is God’s power that performs miracles. Recognize that the greatest miracle is that God became man in His Son, Jesus Christ. Recognize that Satan tempts people to lead their lives away from God. Understand that Jesus performed miracles by the power of the Holy Spirit. Explore the creation story. Recognize one’s responsibility to creation. Celebrate God’s creation in the Divine Liturgy. Understand what stewardship requires. Recognize that each one has the capacity of stewardship. Recognize that Jesus is the Master Steward. Explore biblical passages dealing with stewardship. Recognize stewardship values. Recognize that each one has the capability of stewardship. 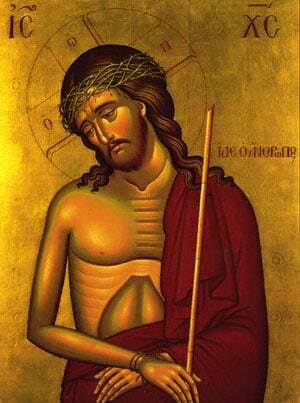 Recognize the stewardship of St. Symeon. Recognize our God-given gifts. Use our God-given gifts for the glory of God. Become involved in the stewardship of the Church. Recognize that giving of oneself through time, talent, and treasures can have many rewards. Recognize their opportunities to practice stewardship. Live the teachings of the Beatitudes. Recognize the value of being an honest person. Realize that there are consequences to being honest or dishonest. Realize the Ten Commandments provide us with moral guidance, and Jesus provided us teachings calling for unselfishness and sacrifice. Understand that Christ’s teachings help us reach the “ultimate goal,” and what is meant by the “ultimate goal” (salvation). Understand God expects us to be truthful and honest. Recognize true friends can be depended upon at all times. Recognize cheating is a form of lying. Recognize cheating is a form of stealing. Realize dishonest behaviors have unfavorable consequences. Recognize God is loving and forgiving. Realize that we too must be loving and forgiving . Realize honesty comes easily when it is practiced daily. Understand the hidden meaning of the Parable of the Prodigal Son. This class will focus on the faith of the Church concerning Jesus Christ from both the Old and New Testament. The lessons center around the “I AM” statements of Christ. These statements provide a means for studying and reflecting upon the faith of the Church as the student explores the significance of each statement. The students will also have an opportunity to discover how Christians may experience the presence of Christ in various settings. For To Us A Child Is Born: The Incarnation of Christ is the glorious foundation upon which Orthodox Christians celebrate Christmas. This booklet will allow students to unwrap the story of Christ's birth to reveal the fullness of the Incarnation, beginning with the Annunciation through the Feast of the Nativity. Students will examine the meaning of the Incarnation through iconography, scriptural readings and hymns. Journey Through Holy Week: This booklet will assist the students as they follow Christ and the Church through each stage of Holy Week - from the Saturday of Lazarus to the Agape Vespers Service. Students will examine the relevance and the meaning of the services, hymns and scripture readings. Observe the elements of preparation for the coming of Christ in Scriptures and in the Nativity narrative. Connect the preparation that Mary, Joseph, Elizabeth, Zachariah and the whole world must undergo, to the ways that any Christian can personally prepare for the coming of Christ in His Nativity. Commit to a personal plan of preparation for Christmas. Describe people who are positive examples. Connect these positive character traits to the character traits that distinguish St. Basil as a holy person. Identify ways in which these character traits reflect the life and person of Christ. Discern the theme of the incarnation in Christ’s manifestation as God, and of the transformation of the world, in the story of His Theophany. Interpret the significance of symbolic imagery—both visual and written—that conveys the fullness of Christ’s incarnation in His baptism and presentation. Connect Christ’s participation in traditions to their own participation in the sacraments and traditions of the Church. Identify the joy that Jesus brought people when He answered their greatest hopes. Connect with this joy and bring it into their present life. Interpret the meaning of the actions of characters and stories from Scripture, as symbolic of living a life in preparation for encountering Christ. Connect forgiveness, mercy, and love for others to love for Christ. Decide on specific ways to live in a preparation for Christ, based on the examples from Scripture. Work together to experience the importance of unity and mutual dependence. Personalize their role as a member of the body of Christ. Connect the image of mutual dependence on the spiritual unity of the body of Christ. Interpret expressions of the paradox of Jesus’s full divinity and humanity. Invite Christ’s life-giving light into their own suffering and challenging moments. Identify with emotions of uncertainty, sadness, and joy related to Christ’s dwelling in the tomb and freeing humanity to life. Reflect on the mystery that Christ brought life to death and death to life. Personalize Christ’s resurrection as their own life-giving, joyous miracle. Commit to ways that they can share this joy with others in their lives. This class strives to provide a basic understanding of our faith in lessons that both inform and inspire. In doing so this class endeavors to plant the students firmly in the life-giving soil of Orthodox spiritual understanding and to guide them on the path to spiritual maturity. Of Your Mystical Supper: The Eucharist: Through the themes of remembrance, thanksgiving, forgiveness, and community, students will explore the mystery of the Holy Eucharist. This text introduces the fullness of the Church's teachings with Scripture and excerpts from the Fathers, such as St. Nicholas Cabasilas and St. Justin Martyr. Journey Through Great Lent: This nine week unit spans the Great Fast with clear, vivid introductions to the season’s scriptures, traditions, saints and services. These lessons include personal reflection and thoughtful discussion, but also interactive activities and projects to help students refuel. Journal assignments keep students focused all week long on the disciples of the Great Fast: fasting, prayer, giving and learning. Plan and complete a service project. Participate in the Sacrament of Confession. Attend Lenten services beyond the Divine Liturgy on Sundays. Examine their attitudes toward the Lenten season and its disciplines. Identify the beginning and end of the Triodion and Great Lent. Compare and contrast pride and humility. Recognize the traits of repentance. Desire reconciliation with God and other human beings. Describe the Sacrament of Confession. Apply the themes of the Parable of the Prodigal Son to the Sacrament of Confession. Evaluate various methods of personal preparation for confession. Describe the Orthodox Christian understanding of judgment and life after death. Define heaven, Hades, and hell. Distinguish between the physical and spiritual understandings of heaven and hell. Explain that “faith” is expressed and made visible through “works.” Plan a service project. Recognize opportunities for spontaneous acts of service, hospitality, and empathy. Explain that asking for and granting forgiveness heals relationships. Understand that communion with God is salvation. Forgive others. Seek forgiveness from God and from others. Inventory aspects of the Faith that they find hard to explain. Celebrate the Orthodox Christian Faith. Consider forms of and opportunities for evangelism. Examine interpersonal connection, concentration, and mindfulness. Practice silence. Compare the life of prayer to daily life and to Lenten disciplines. Examine spiritual struggles as crosses to be borne. Recognize that God does not want His people to suffer.Create a visual reminder of the cross’s victory over death and suffering. Review the themes of Great Lent, as they are found in the life of St. Mary of Egypt: sin, the cross, repentance, confession, discipline, and drawing near to God through the Sacrament of Holy Communion. Assess their Lenten efforts in light of St. John Chrysostom’s Paschal Homily. During the Tenth Grade we try to instill in each student that Orthodoxy and the teachings of Jesus Christ are a way of life that should be incorporated in our everyday interactions with our fellow human beings, whether at school, in the workplace, or socially. The class tries to help each student understand that our number one goal in this earthly life is to prepare ourselves to be found worthy to attain eternal salvation. 2. To instill a sense of thankfulness to each student for all things in life, such as parents, shelter, food, transportation, money, work, health, and religious freedom (that is, to count our blessings and to not take anything for granted). 4. To instill the fact that satan and evil are everywhere present, and the need to constantly defend ourselves from these influences through Christian thought and prayer. 5. To instill in each student to accept ourselves as we are (in terms of our physical make up, as well as our mental capabilities), as this is how God has created us. 1. Major Orthodox Holy Days (feasts and fasts), their meaning and importance. 2. The lives of specific Orthodox saints, including saints whose names can be correlated with each student’s name, with an emphasis on the importance of celebrating the “name day” of one’s patron saint (just as a birthday is celebrated). 3. A review of the different parts of the Bible, with an emphasis on the differences between the Gospels, the Acts of the Apostles, and the Epistles. 4. Confession, repentance, and forgiveness. 5. Lent, Holy Week, and Pascha, with an emphasis on what this period and these holy days mean, why we have them, and why there is a concentration on repentance, prayer, fasting, and almsgiving. 8. The symbolism of the Orthodox Baptismal service. 9. Epiphany and the role of Saint John the Baptist as the forerunner. 10. American customs, traditions, and holidays, and how they fit into our Orthodox Christian way of life. 11. How to understand people of other religions and faiths. This course aims to familiarize students with the Gospel teachings that have a direct bearing on relationships, daily behavior and decision making, when individuals, or groups, are faced with issues and problems that require personal initiative. At the end of the course, students guided by the words of Christ, should be better prepared to make choices among different paths leading to the resolution of ethical problems involving their own person, or their social group.